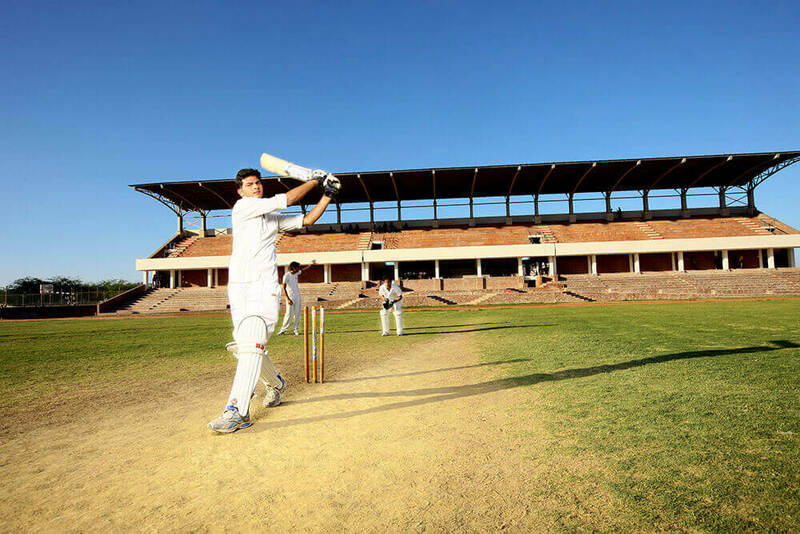 ‘Play hard, Work harder’ is the motto of Anand College, where excellence in academics is complemented by competitive athletics. We believe that physical & mental fitness is essential even for the on job performance and we encourage students to train and be ready for challenges ahead through mental and physical fitness. We have 75000 sqm sports area with facilities for various sports like Gymnasiums, Billiards, Yoga & Meditation, NCC, NSS, Karate, Taekwondo, Table tennis, Badminton, Football, Cricket, Basketball & Volleybal. Keeping active is an important part of student life……. At AEC, sport plays an integral role within college life, developing independent minded individuals that display resilience under pressure. We provide our students the opportunity to achieve their potential whilst striving for an individual and collective level of excellence. Anand has widened the provision on offer whilst providing unprecedented levels of success for our sports teams and highest performing individuals. In the modern scenario wherein there is cut throat competition of being successful, the life of a normal man & woman has no place for patience and time for refining the soul. When all the comforts and materialistic things fail to provide satisfaction and peace to life, sports and physical education comes into picture. It’s an urgent need of the time to incorporate sports activities for the evolution of human, from just a student or technocrat to a complete man. 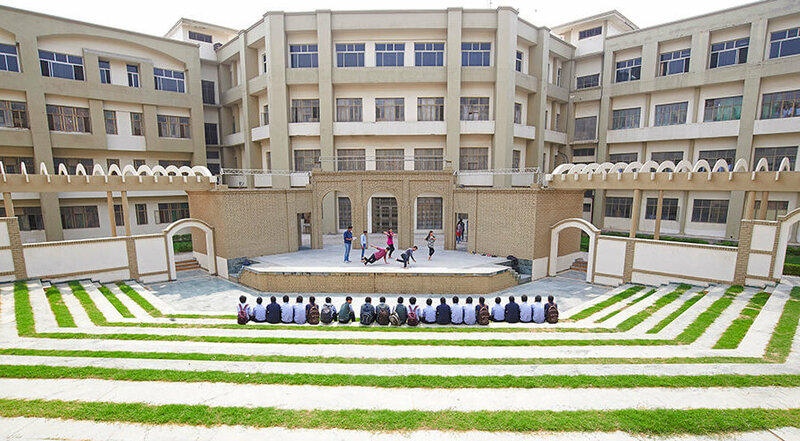 One of the architectural delights of the campus is its beautifully designed amphitheater. With a capacity of 500(+), this venue is used for entertainment, performances and different kinds of interactive programs like mentorship program, performances by dance club, music club, choreography, plays, skits etc. Students also use this platform for their cultural competitions etc. Adequate number of buses are available for the day scholar students and staff members coming from the different parts of the city and its surroundings. All the buses are having predefined route and timings. Drivers are experienced and well trained in order to drive properly even in crowd. 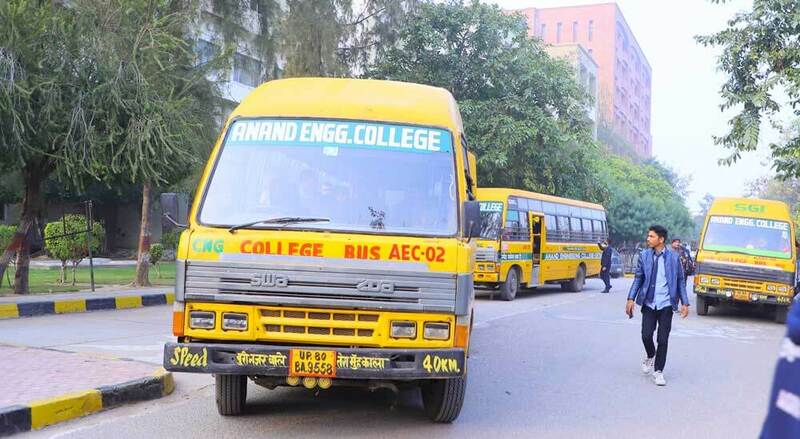 Almost all the buses are connected from each end of Agra and Mathura to college with appropriate stoppage. The nearest Railway-Station & most convenient is “Raja ki Mandi” Agra; or if the train does not have a stoppage there, Agra Cantt is the next best option & students should reach Bhagwan Talkies for availing transport as described above. Those alighting at “Mathura Junction” can avail buses from the Mathura Bus Stand (ISBT). We understand that most of our students are moving away from home for the first time, so we strive to make the transition as smooth as possible by offering comfortable and safe hostels within the campus. 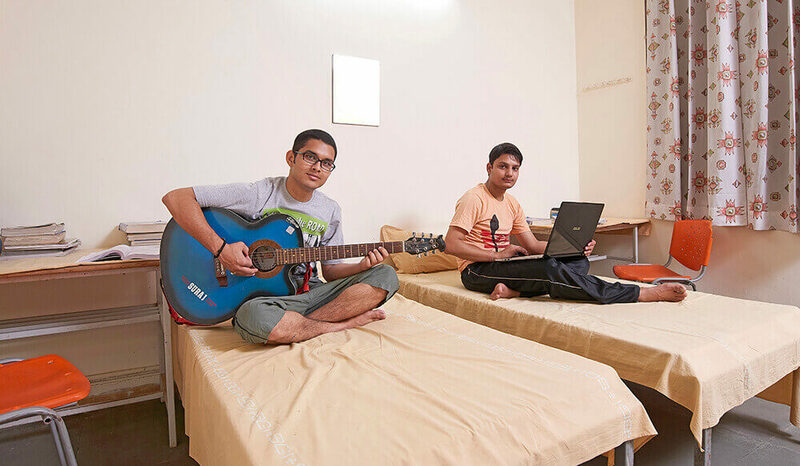 The Hostel provides such an ambiance that the students feel at home. The rooms are well furnished, with attached bathrooms, proper housekeeping facilities, telephone facilities and are equipped with a number of other amenities as well. All the rooms have been designed to provide adequate moving space and ample air and light. Anand College offers separate magnificent hostels for boys and girls with hostel warden in each hostel to supervise day to day management. Hostels are surrounded by green open space which gives lots of oxygen rich air and a natural environment away from city hustle and bustle. 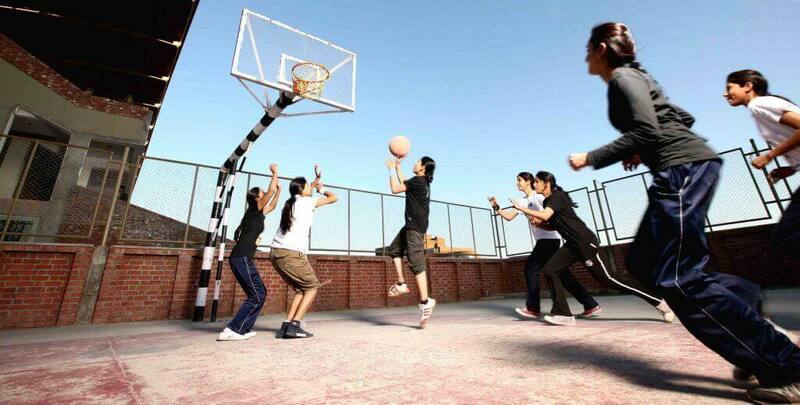 Each of these hostel has a Dining Room, Common Room equipped with facilities like Television (with DTH facility) and indoor games like Table Tennis, Carom Board, Chess, Badminton, Basketball etc. and a gymnasium. Hostels are having 24 hrs. electric and water supply arrangement. 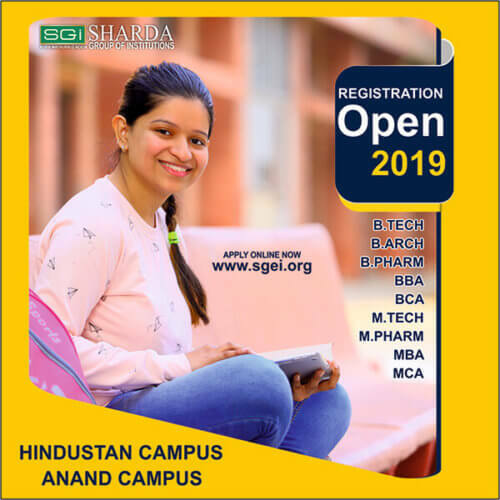 The hygiene and cleanliness factors are the basic ideas that are very well taken care of and best measures are taken to provide very healthy and homely atmosphere for the students choosing to avail this facility. Mess arrangements are made on co-operative basis along with hygienic and good food. Amenities centre is located within the campus including a cafeteria and a shopping arcade for the use of the students and Staff, providing all necessary articles and food stuffs of daily use, (on a paid basis), a juice counter etc. are in right place to meet the needs of the students.